The Predator Thermal Vision Fugitive figure by NECA is an upcoming Target exclusive. The impressive-looking action figure faithfully recreates the poster for Shane Black's take on the franchise, which might have been one of the coolest parts about the entire project. The look of the figure is seen through the point of view of the absolutely massive Ultimate Predator, showing off the iconic colors that fans have loved ever since the original Predator movie came out in 1987, hunting Arnold Schwarzenegger's Dutch and his crew. 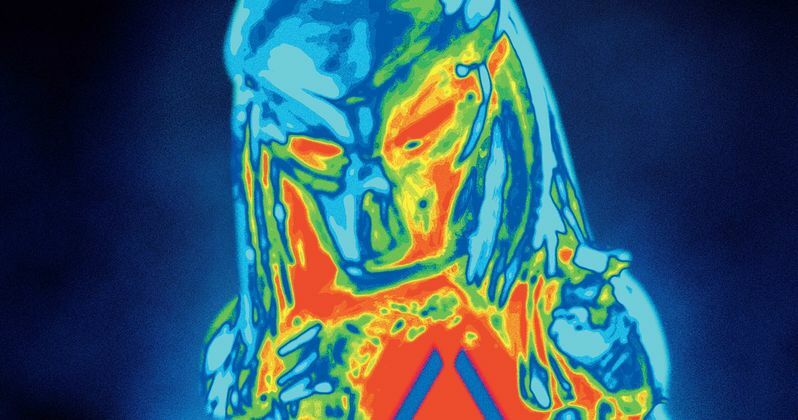 The Predator Thermal Vision Fugitive figure is scheduled to hit Target stores by the end of this week, just in time for fans to spend some of their Christmas money and gift cards on. The figure retails for $26.99, which may seem a bit pricey, but this is NECA that we're talking about here. The details are finely sculpted, and the coloring looks truly awesome. In addition to the great sculpt and paint, the Predator figure also includes some translucent blue pieces that really add to the look and make the figure look like it came straight off of the big screen and into your house. As is the case with most NECA figures, The Predator Thermal Vision Fugitive toy comes in a window box that it allows it to be put on display without having to open the box. Additionally, the back of the box shows off some pictures from the movie along with a synopsis, which is a nice touch. As for the figure itself, it stands at a little over 8″ tall and it has 30 points of articulation for those collectors who want to take it out of the box and pose the alien in some stances from the movie. Unlike a lot of recent NECA collectibles, The Predator Thermal Vision Fugitive figure does not come with a bunch of removal appendages or extra heads and such. This puts more of the focus on the cool look of the figure, which will likely intrigue fans of the franchise who were not into what Shane Black put out on the big screen earlier this year. Also, the new figure comes out at the perfect time to help promote the fact that The Predator is out on Blu-ray and digital. The Predator Thermal Vision Fugitive figure will be available at most Target stores by the end of the week. It might take a little longer for certain stores, so you might want to call around and ask your local store if and when they will be getting their shipments in. While it's exclusive to Target stores, it isn't being marketed as limited edition, so there should be plenty of them to go around. You can check out the figure below, thanks to the NECA Twitter account and then head over to Target to try and get your hands on one at the end of the week. We have an exclusive 1st in-hand look at the new @Target Exclusive #ThePredator 2018 - Thermal Vision Fugitive #Predator Figure by @NECA_TOYS for #Prednesday!